Our charity receives no government funding and relies solely on the generosity of our supporters. Please consider making a donation to help us continue our vital work. We’ve listed a number of ways you can donate to us below. Please remember, if you are a UK tax payer we can claim an additional 25% on top of your donation, at no extra cost to you, if you complete and return our Caw Gift Aid 2016. You can send a donation via PAYPAL using your credit or debit card. You do not need a PAYPAL account to use this service – just click on the donate button below. Alternatively, sign in as a guest to paypal and use this email address: cheadleanimalwelfare@hotmail.co.uk to send your PayPal donation to us. You can also donate via MyDonate. Visit https://mydonate.bt.com/charities/cheadleanimalwelfaresociety and enter cheadle animal welfare as the charity to pay your donation to. Please consider leaving us a legacy in your Will. Legacies provide vital funds for our animals. By leaving us money, you are helping needy animals for years to come. ***To everybody who has done their Shopping via Easyfundraising.org.uk a huge thank you from the Waifs and Strays. If you want to buy much appreciated treats locally for the dogs or cats you can always leave them in the collection bin we have within Morrisons supermarket. The dogs particularly enjoy Schmackos (or similar), Dentastix (med size sticks), Jumbone medium chews, Rodeo chewy twists. (No rawhide treats if you don’t mind though please!). Give to any of the Cheadle & District Animal Welfare Society Collection boxes which are situated in a number of stores/pet shops around the district. Please visit our sponsor a cat or dog section to see the animals that have been with us a long time and need a little extra help! Sponsorship to help us with our fundraising events/ publications etc? 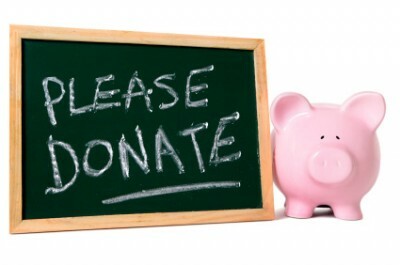 If anyone, group or organisation could help us by sponsoring any elements of any of the fundraising activities we carry out in order to reduce their associated costs (such as advertising, printing, teas/coffees, room hire etc) we would be extremely grateful! For example for any of our big events such as ‘Winter Wonderland’ or our Dance evenings. Sponsorship for any pages maybe of our annual calendar, greetings cards, Big Raffles, craft events/ dogs shows and so on would also be appreciated. We would of course give full acknowledgement and thanks as appropriate. We are registered with Pets at Home VIP Club. Pets at Home are generous supporters of our charity. We often get involved with events at the Uttoxeter Pets at Home store. If you register for the VIP club you can select us as your chosen charity. We will then receive a donation from the scheme each time your VIP card is swiped. Click www.petsathome.com/VIP to link to their site, or get an application form from your nearest store. Only £1 to have obtain your unique number which you retain for as long as you pay your £1 each month. You win half of the entry money if your number is pulled out of the monthly draw.Contact us for a number or select one off the list held at E + E Furniture Stores, High Street, Cheadle. If you would like to donate in a way not listed above, or have any questions, please contact the Cheadle & District Animal Welfare Secretary for advice on 01335 390369. On behalf of all the animals and charity volunteers, thank you so much for your support.